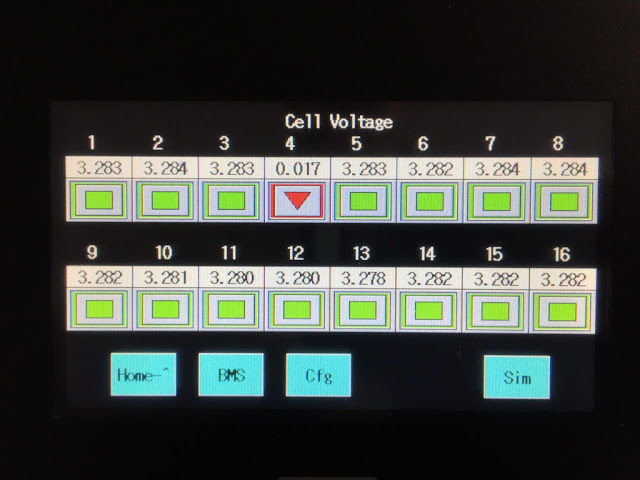 In this article on building a BMS, one comment I received cautioned about "phantom" voltage reasons if one of the battery cell voltage sense wires broke, or a fuse blew. 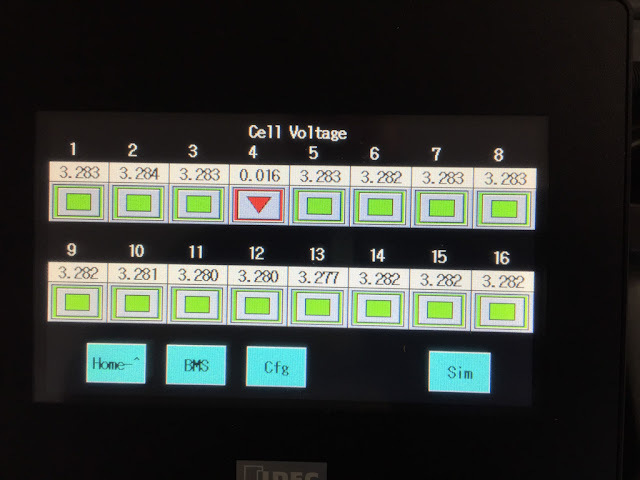 His experience was that the phantom voltage was essentially the average of the two adjacent cells, and could appear to be a healthy battery when it's not. That would be a problem, so I wanted to test it out. Thankfully, my BMS doesn't exhibit that problem. The three pictures below show the cell voltage readings, first with the sensor wires for cell #4 connected correctly, and then with each of the sense wires disconnected. Positive sense wire disconnected from cell #4. Cell alarms and shows "phantom voltage of 17mv. There is a small phantom voltage, but no where near enough to not realize there is a problem. I think this all comes down to the internal circuitry of the sensing device, and in particular how much impedance there is between channels. And at $87 obviously has some internal differences. I guess you get what you pay for? I owe you a beer (or two). Wow, that is an astonishing rip-off of the ADAM product. Other than performance differences, the only thing I see different is that you need to order for a specific voltage or current sense range where the Advantech units are configurable for any of the ranges. A few other details too, but not many. After a rum on the rocks...it struck me that you had voltage on the adjoining cell. Hmmm. 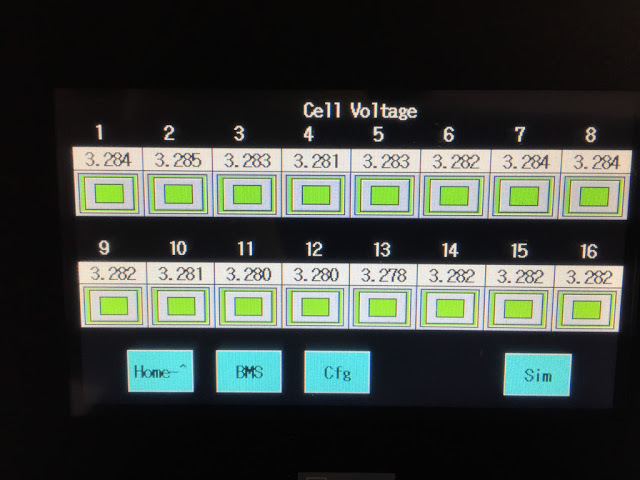 As I understand your wiring, there are 3 "legs" to each cell tap? 1) ADC C4+ to "common"
2) ADC C5- to "common"
3) "common" to C4+ and C5- via a fuse. If you disconnect 1 or 2 above, all will be fine. But if you disconnect 3 above, both C4 and C5 should read near zero. What line did you disconnect? I'm not following your description. If you can use the "Contact me" form on the right of the blog, that will get us connected via email and I can send you a schematic showing what I did. I just did that. Look forward to the email. I can share my schematic as well that way.